“Last year’s theme, ‘Sangkan Paraning Dumadi’, or ‘Origins’, was an important reminder of our shared humanity,” explained Founder & Director Janet DeNeefe. “At a time when disparities rather than shared values are shaping political decision-making, we’ll ask what harmony and prosperity looks like in 2018, and consider the tensions that have emerged between personal and collective fortunes in contemporary life. Along with the launch of the theme, the Festival also launched the UWRF18 artwork by Balinese artist, Budi Agung Kuswara, known in the art community as Kabul. The artwork, titled Anonymous Ancestors, is Kabul’s attempt to take a moment in time and interpret it for the modern day. In bringing together 160+ speakers from 30 countries in 2017, the UWRF has well and truly evolved into a global hub of ideas, experiences and empowerment for both individuals and its diverse community of attendees. 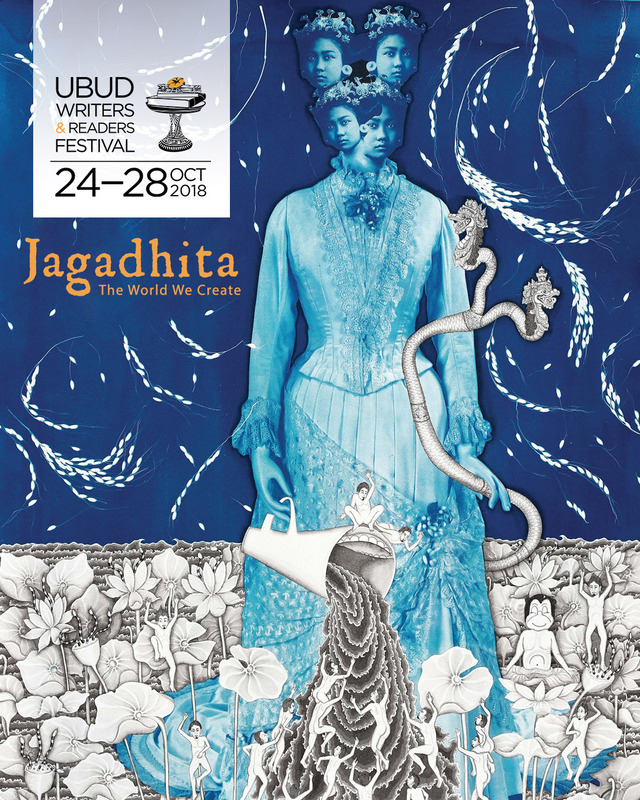 Through its strong focus on the Indonesian literary and artistic landscape, UWRF continues to be the most prominent platform for showcasing the nation’s emerging and established writers and artists. The Ubud Writers & Readers Festival celebrates its 15th year as Southeast Asia’s leading festival of words and ideas from 24–28 October, 2018. Early Bird tickets go on sale alongside the first lineup announcement on 16 July. Stay tuned to the website, and UWRF Facebook, Instagram and Twitter for updates.